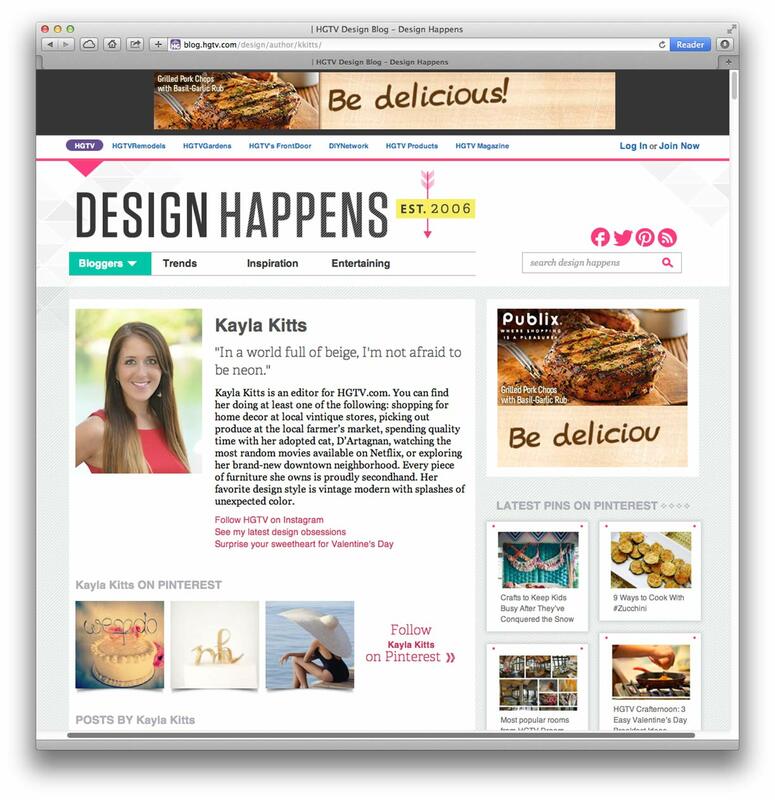 HGTV Design Happens was redesigned to simplify the user experience and place a greater emphasis on the content creators. 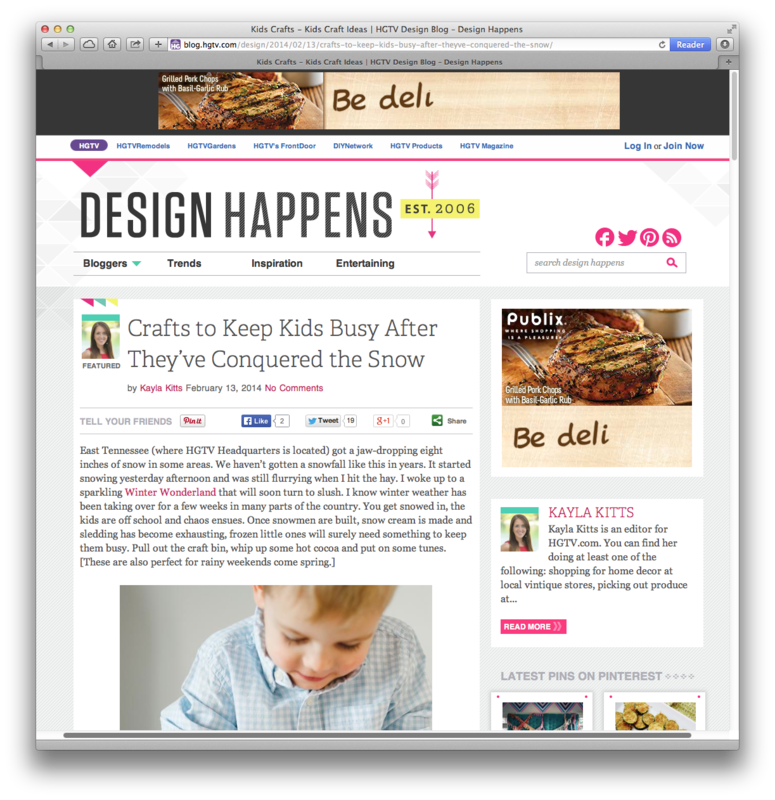 Along with the redesign was an entire rebranding to lend the then 6-year-old blog a fresh, fun look for readers that was a little hipper and less traditional than had previously been expected on HGTV. This project was executed as part of the HGTV visual design team. 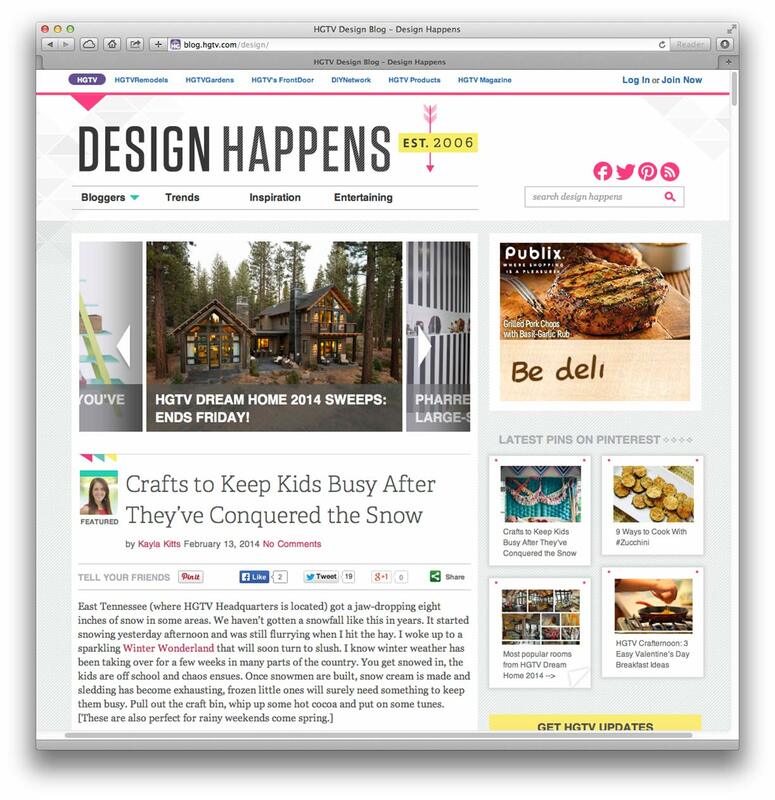 In 2013, it won a Best of the Web Cablefax Award for Blog or Series of Blogs. As with any branding project, to determine the look & feel of the brand, we did some initial character studies and mood boards. While I can’t share the final ones, here are a couple examples of my initial studies. Here are a few graphics–business cards, stickers, social media graphics–I made to promote the blog & it’s bloggers at conferences and online. 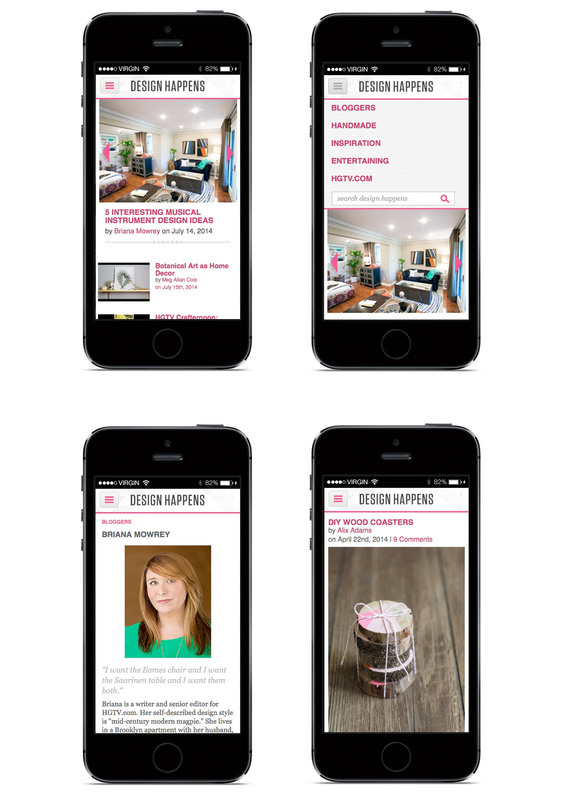 Several months after the release of the desktop blog, we designed this mobile site.